Joan of Arc lived less than twenty years. Yet she fought for her beliefs and made a huge impact on history. She died for her beliefs at an age when many are just beginning their life’s journey. She knew what she believed in. She knew what it meant to sacrifice for her beliefs. Ask anyone who serves or served in the military, a first responder who runs into a burning building to save others, or a newly formed priest who has answered God’s call. These are just a few examples. Each of them know what it means to sacrifice for their beliefs. Sometimes our beliefs emerge quietly without our knowledge. We go through life, making seemingly inconsequential decisions about what we will and won’t do. We decide who our friends are, and how much we will let them into our lives. We decide when to listen. We decide how honest we will be with the world around us. We establish habits for living our life, and we go on our merry way. Do you know what you believe in? Really? Do you know what you believe to be true? Do you know what is important in your life? Have you made the quiet time in your life that’s necessary to consider these questions? What if it turns out that the things you believe in aren’t manifested in the way you live? Are you willing to change your habits? Are you willing to eliminate the things that don’t support your beliefs? Will you support your beliefs in the way you live, and the way you work with others? 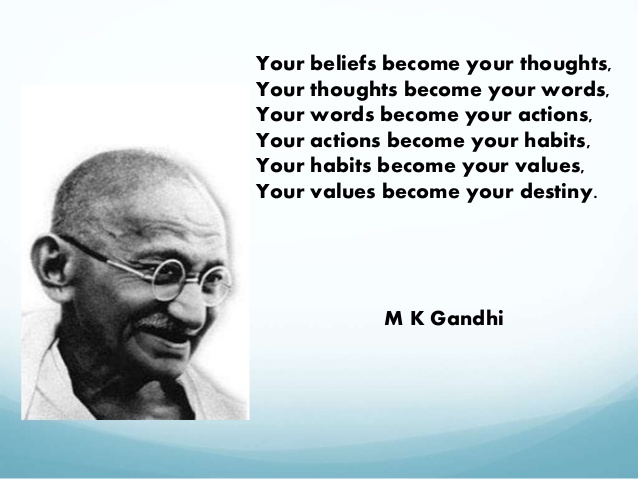 Are you willing to make your beliefs the centerpiece of your actions in everything you do? Joan of Arc was right. One life is all we have, and then it’s gone. Where are you in that one life? Is it too late to examine your beliefs and change the way you live? The answer is clear But, it won’t become obvious until we make quiet time in our lives to reflect. When we do, we find it’s never too late to examine our beliefs and change our life. Every day is a new beginning if we choose to make it so. It doesn’t matter what happened in the past. It doesn’t matter who wronged you. It doesn’t matter if you had a terrible childhood. It doesn’t matter if you’ve missed opportunities in the past. It certainly doesn’t matter if you failed in the past. All that matters is learning what you believe in. Then, deciding what to do with that new knowledge, starting today. The only question is: Are you willing to find out? This entry was posted in Appreciation, Balance, Change, Choices, Courage, Curiosity, Fear, Future, Learning, Listening, Ownership, Perspective, Priorities, Success, Surprises, Time, Values and tagged Beliefs, Core Beliefs, Gandhi, Habits, Joan of Arc, Matthew Kelly, Purpose, Values on December 11, 2015 by Bob Dailey.